I’m not sure how often I will post this week because I am getting some teeth pulled today (four to six), so I’m not sure what I’ll be up for. 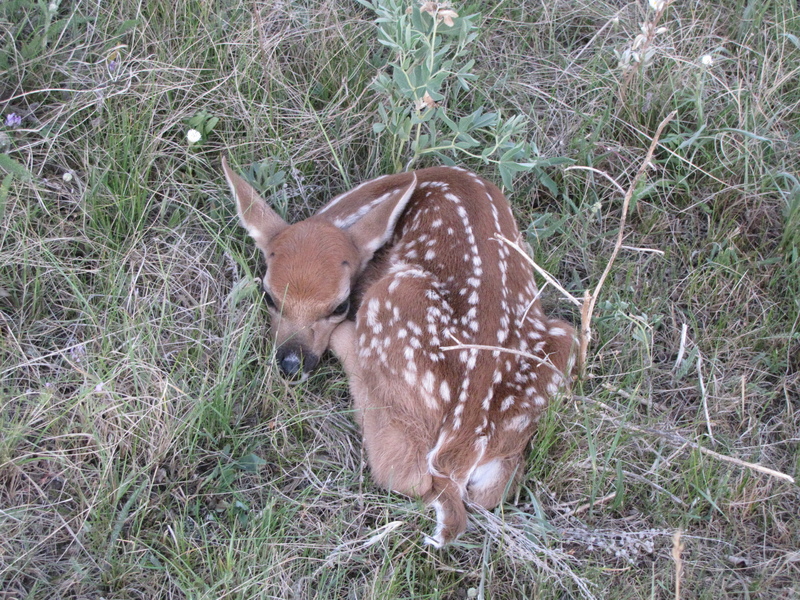 This entry was posted in Alberta Animals, Mammal on Monday, Spring and tagged Fawn, Mammal on Monday, White-tailed Deer. Bookmark the permalink. Beautiful photograph! So very tiny and sweet. I love the white spots. I’ve got my eyes peeled for the little ones too. I hope your trip to the dentist is not too uncomfortable. Wishing you a speedy recovery. Thank you, Julie! My dentist appointment was not as bad as I had feared. What a cutie pie… I’m already feeling sympathy pains–hope you feel better and all goes well with your dental procedure! Sorry about your dental problem. I’m sure you will see a fawn soon, Bob!